In a paper published in Child and Adolescent Psychiatry and Mental Health,Erik Parens and Josephine Johnston examine the evolution of the diagnosis of Bipolar Disorder in children and its dramatic increase since the mid 1990s, after the criteria for diagnosis broadened. The increase in cases has led to concerns about accurately defining psychiatric disorders in children as well as the safety and efficacy of resulting pharmacological treatment. In the paper, and in a series of workshops sponsored by the NIMH, a recommendation is made to develop new diagnostic categories for children displaying moods and behaviors that do not fully fit into the diagnostic criteria for Bipolar Disorder. Researchers support an emerging approach, which gives many children a new diagnosis called Severe Mood Dysregulation (SMD) or Temper Dysregulation Disorder with Dysphoria (TDD). Participants in the workshop included psychiatrists, pediatricians, educators, bioethicists, parents, and social scientists. Erik Parens is a senior research scholar and Josephine Johnston a research scholar at The Hastings Center, a bioethics research institution. The bipolar label may fit poorly many of the children who have received it over the last decade. 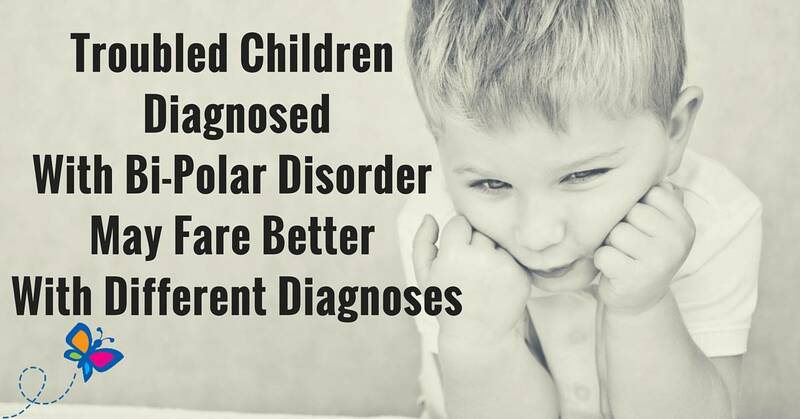 There is debate about what children’s symptoms represent. For example, what is characterized as mania in children is very different from its features in adults. Mania is a hallmark feature of bipolar disorder, formerly known as manic-depressive disorder. The bipolar label, which has a strong genetic component, can distract from addressing the family or social context. Physicians must be forthcoming with families about uncertainties and complexities in the diagnosis and treatment of bipolar disorder in children. Current training practices and reimbursement policies may leave some psychiatrists and pediatricians unable to deliver the comprehensive care that these children need.